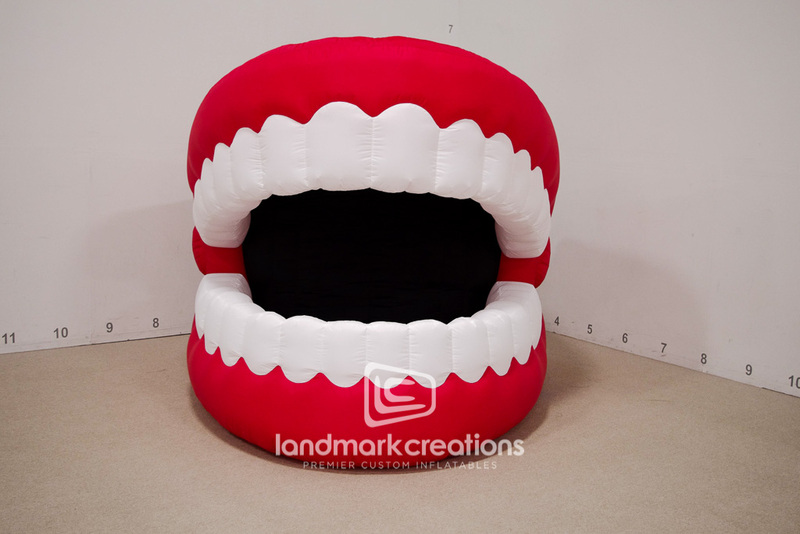 These snappy, chattering teeth were commissioned by Sceno Production in Montreal. 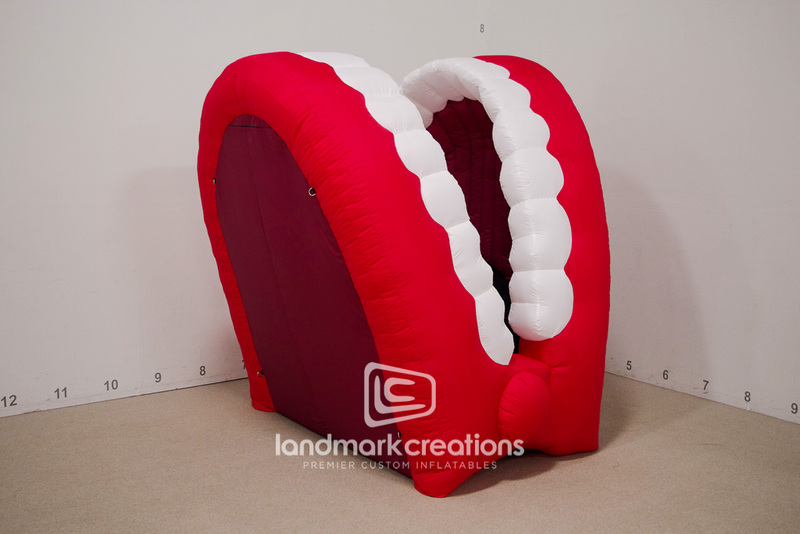 The inflatable teeth were used as a stage prop for a gag number, portraying someone being eaten. 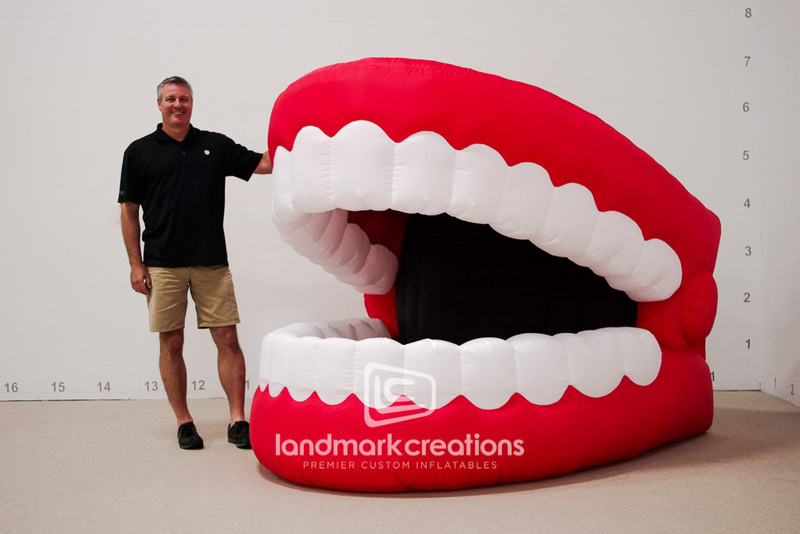 Inflatables can help a vision become a reality!